Laser Tag parties are great fun for birthday celebrations. But in a crowded field of available laser tag venues, what are the elements that create the best parties? Venue managers and owners tag stellar customer service and great packages as key to being the best. In Beaverton, Ore., Lee Phipps, manager of Super Play, described what makes his laser tag a top birthday party choice. “One thing we’re very proud of is having a 3,200-square-foot laser tag arena. It’s truly state of the art. We opened just seven months ago, and it’s an extremely cool track,” he reported. Along with offering a top-of-the-line gaming facility, Phipps also focuses on a reasonable price point for a laser birthday package that includes food. “For $149, we offer a birthday package for 10 kids, with two games for each child. The price also includes a party table with party favors, decorations and goodie bags, and a large pizza with unlimited soda. In addition,” he pointed out, “every party has a dedicated party host to make things easier on the parents.” Also, as the “only place in town with laser tag, an arcade and a bowling alley, we can provide the kind of package no one else can offer locally,” Phipps attested. At Lazerblast Arcade in San Diego, Calif., Attractions Operator Amber Albridge, speaking for manager Sean Burke, agreed with Miles and Phipps that having a modern and up-to-date arena goes a long way toward making laser tag parties at her facility the best possible customer choice. “We have a three-story arena with three playing levels which makes having a birthday here special in and of itself. 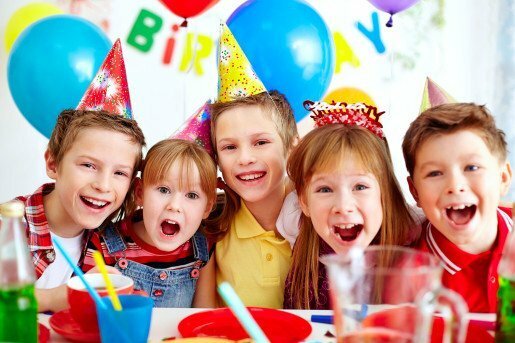 And what makes party packages even more special is that the laser tag is unlimited.” For the birthday child, Albridge provides $5 game arcade cards as well. In Tukwila, Wash., Kellie Studer, manager for Virtual Sports, said her facility is dedicated to laser tag in its entirety, making it a unique draw for customers planning a birthday party. Nationwide, providing great customer service, offering solid combination party packages and operating a state-of-the-art facility are all strong components of making laser tag parties the best. What training tips work best for birthday party employees working directly with party-goers? Managers, coordinators and owners of laser tag facilities offered their take on top training techniques. Evelyn Miles, event coordinator for Uptown Alley in Surprise, Ariz., said her top training tip is to make sure that her staff believes the expression “it starts with me.” “That’s imperative, that the staff listens to guest needs and concerns, is assertive about providing good service, and shows they care by being attentive and responsive,” she said.